Getting foreign reports of Lesser Whitethoat is always a great occasion as this highlights the fact that this species makes a dramatically different migration to other warblers. Instead of migrating south, the Lesser Whitethroat migrate South East towards northern Italy and winter in areas like Egypt, Chad and Ethiopia. Our first recovery was a Lesser Whitethroat (below and Red pins) that was killed by a cat called Fiver in Lower Broadheath, Worcester. 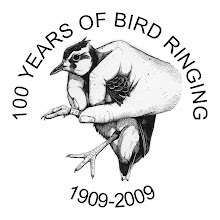 Amazingly this bird was wearing a Croatian ring! 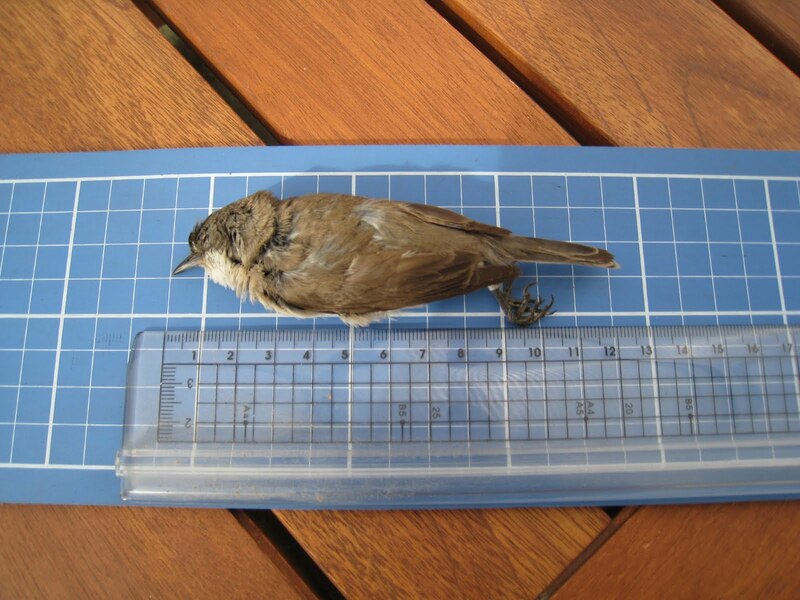 We have only ever had one British ringed Lesser Whitethroat found dead in Croatia but this is the first time one of their ringed birds has been found in our country. This is very impressive considering the numbers of birds ringed in each country. The second recovery (blue pins) was a Lesser Whitethroat that was ringed by West Wiltshire Ringing Group as a juvenile on 3rd July 2010 near Tilshead, Wilts. This bird was then found at Nila, Maban County in Sudan in a bucket! This is the first ever recovery from Sudan although this country has been thought to be part of the wintering ground. Thanks to Lyn Fitz-Hugh for the photo.